Yesterday, President Trump held a cabinet meeting prior to the US House vote on the tax bill. Many have inquired as to the significance of the President crossing his arms during the meeting. Over the past several months, Donald Trump has crossed his arms with increasing duration and frequency. To put this in historical-behavioral context, you'd be hard-pressed to find a single photo of any past US president crossing their arms during public events or meetings. It's crucial to note that the President's hands are constantly hidden during his arm-crossing. 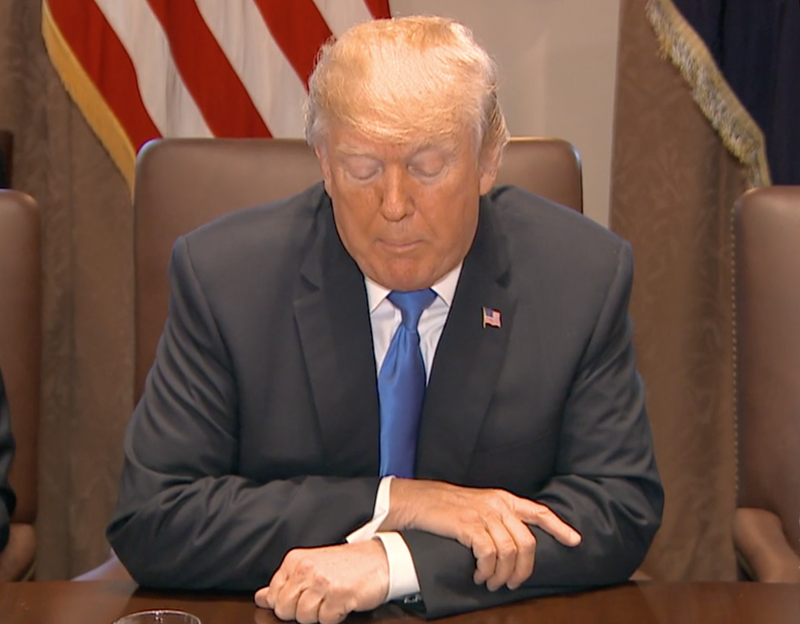 The video above is 18:04 in duration (1084 seconds) during which Donald Trump crossed his arms five times for a total of 325 seconds or 29.98% of the time. 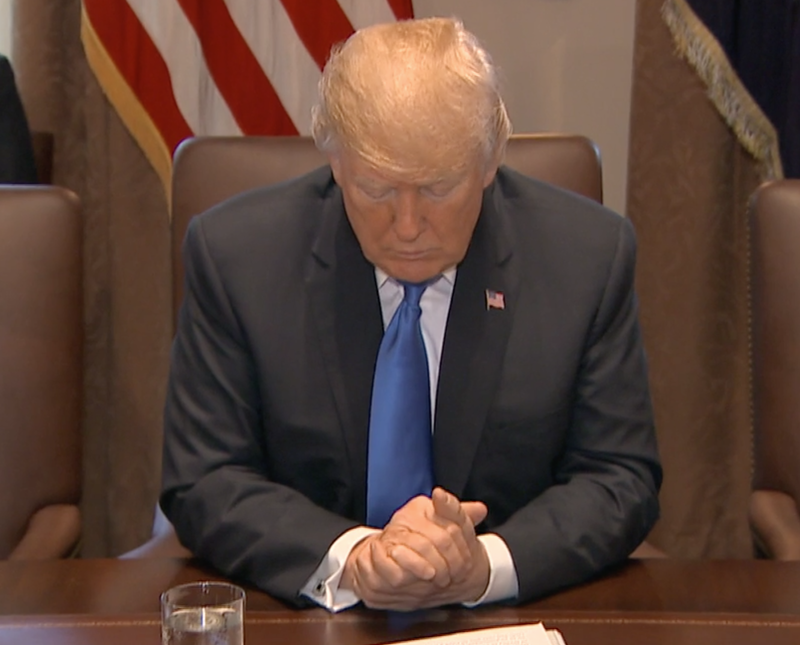 Another intriguing detail of his behavior was demonstrated during the prayer - wherein he flexes/flicks/bends his wrists, with clasped hands twelve times. He also clasps and unclasps his hands multiple times. All this movement takes place in the space of 1 minute, 26 seconds. 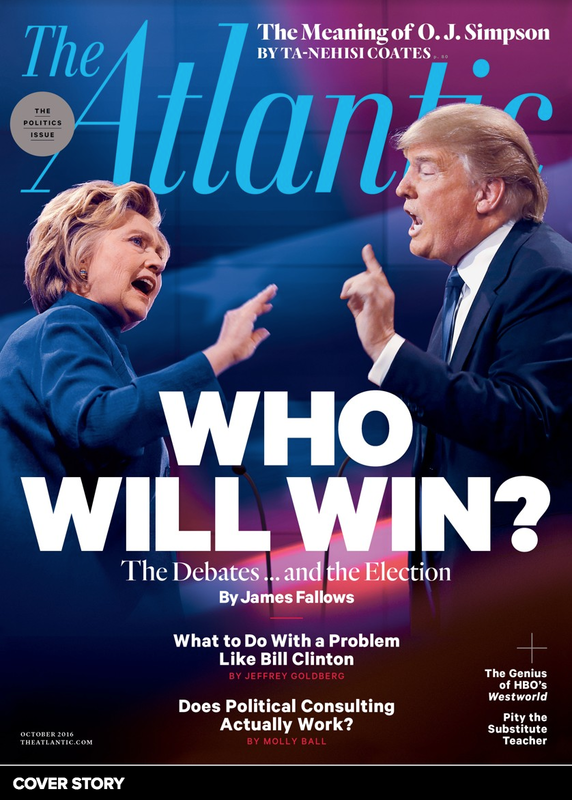 You'll note, even the videographer zoomed in on Trump's hands. Why can't the President maintain a prayer posture for 90 seconds? During the entire remainder of the video, the president's hands are rarely free or isolated: 99% of the time, he was either clasping the other hand, grasping his left wrist/forearm with his right hand, grasping both wrists, etc. And similar to the prayer dynamic, his fists and/or clasped hands repeatedly raise up and down in a wrist flexing/extending motion. You may recall during the recent FBI graduation ceremony prayer, President Trump looked up and opened his eyes (while everyone else bowed their heads and eyes closed). He also irreverently twisted/rotated his torso several times. During this graduation, his right hand was also in motion - as he patted his chest multiple times when the national anthem was played. Now contrast these two videos. The one immediately above was from 26 February 2016 during the campaign (approximately 22 months ago) as Donald Trump was mocking Marco Rubio. 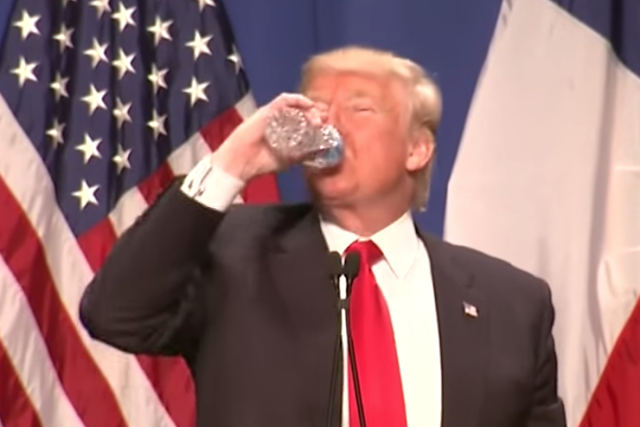 Notice that then-candidate Trump had an easy time drinking from a water bottle during a campaign event (0:36 - 1:16). If you look carefully, he is gripping the bottle with only a thumb and (at most) two fingers. 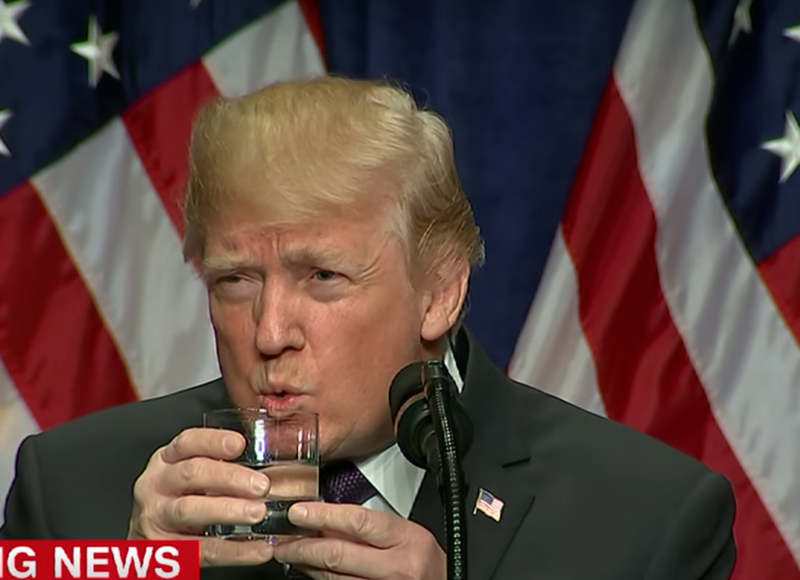 Now contrast this to the next video of Donald Trump taking a drink only days ago, on 18 December 2017. The contrast is striking. Watching the slow, two-handed drinking posture of the President (at 6:50 and 17:01) is painful to see. This cluster of behavior is due to both behavioral/psychological - as well as medical etiologies. 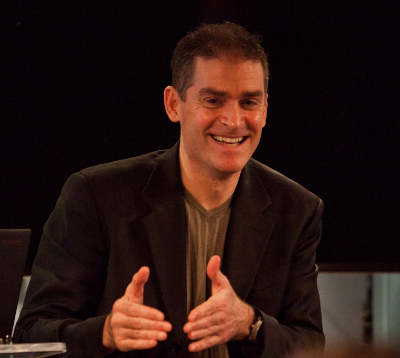 Crossing one's arms - with hands hidden is a classic signal of defensiveness-related anxiety. 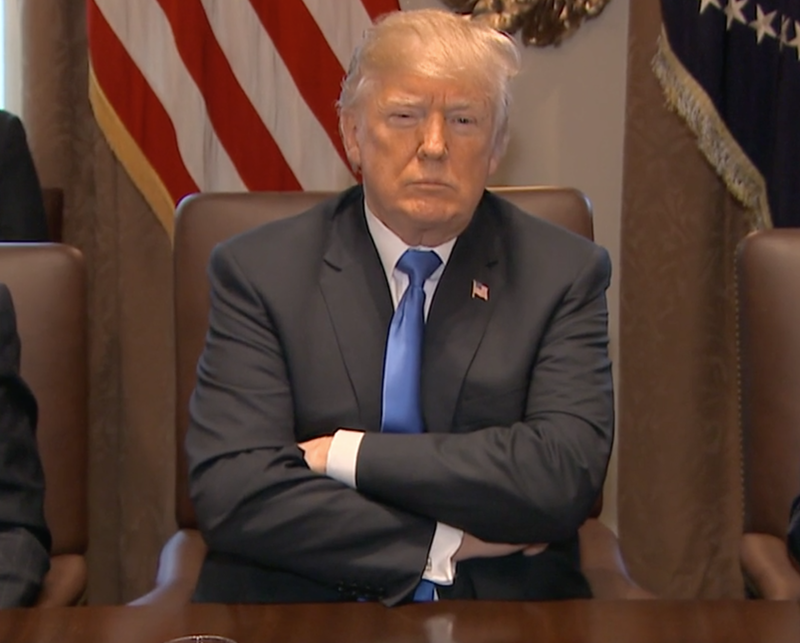 This Beta behavior telegraphs his insecurity and low confidence - which is why this body language is virtually historically nonexistent in past presidents during meetings or public appearances. Yet the President's increasing frequency and duration of his hand dynamics strongly suggests a movement disorder or tremor/tremor-like phenomenon. Moreover, his excessive hand movements are highly out-of-context - such as during prayers - and when his hand is supposed to be held still over his heart during the National Anthem. It very much appears that his hands cannot be at rest without gripping, grasping, being braced, etc. Causes include a variety of medical conditions (most likely involving the Central Nervous System) as well as drug side-effects. Summary: The president's increased duration and frequency of arm crossing project his growing beta emotions of anxiety, insecurity, and low confidence. 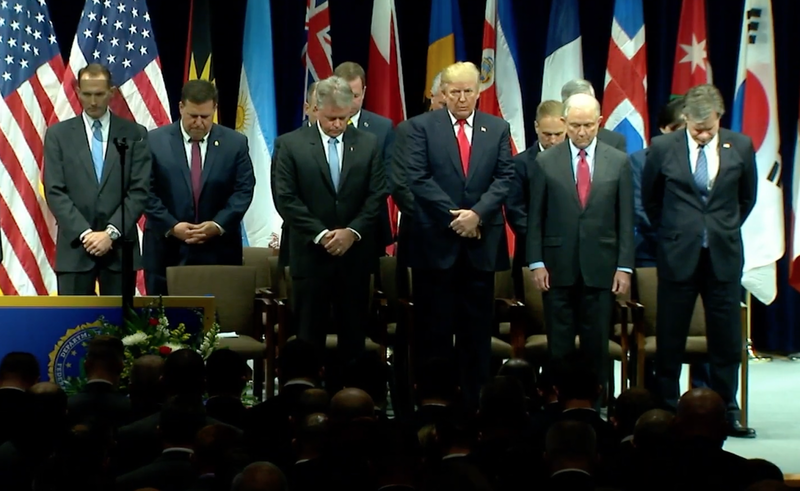 In addition, with high probability, the President appears to be unable to hold his hands and arms still for more than a few seconds - crossing his arms, making fists, flexing/extending his wrists, grasping the opposite hand/wrist/arm, moving during solemn and out-of-context moments (prayers, national anthem) - all in an effort to disguise/camouflage a medical movement disorder and/or a drug side-effect.